You are here: Home / Budgeting / Got Irregular Income? Here’s how to budget for it. 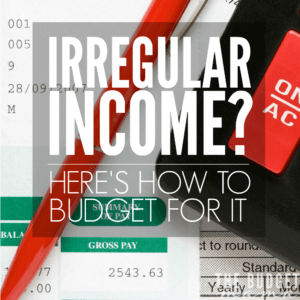 Budgeting for irregular income is something that I’m often asked about and if you or your spouse is self-employed or you don’t receive a regular paycheck each month, you know just how challenging budgeting with irregular income can be. Many years ago, my husband I lived off his income as a sole proprietor and I’ve seen firsthand how easy it can be to wreck a budget when you don’t know how much money is coming in that month. So I developed a system that helped us to better budget our money when we had no idea how much money would be there. You know what the difference should be – it should be zero because every penny you earn should be going somewhere whether it’s to savings, paying for expenses, or paying off debt. So your “Difference” needs to be zero. You should know how much your expenses should be for the month – as in you should know how much money it generally takes for you to live. You’d need to account for all your bills, groceries, and anything else coming up in the month that is a “must pay for” expense. Things like co-pays for doctor visits, or prescription refills or even any birthday parties coming up. Looking at it like this, you now know that you must absolutely, make at least $2,500 this month in order to “breakeven” and reach your $0 total. Granted, if you earn more than that this month that would be a blessing but I want to encourage you, that whenever you do exceed the minimum amount you must earn in a month that you have a plan established for that money. Like adding it to your debt payoff plan or funding your emergency fund. If you’re budgeting with irregular income, there are few things that you need to watch out for and be prepared for. First, you need to make sure you have a solid emergency fund set up. This is the second time that we’ve lived off irregular income and I know firsthand how important having a solid savings account is to the longevity of your finances. If you don’t already have an emergency fund established, you need to make that a priority in your budget. 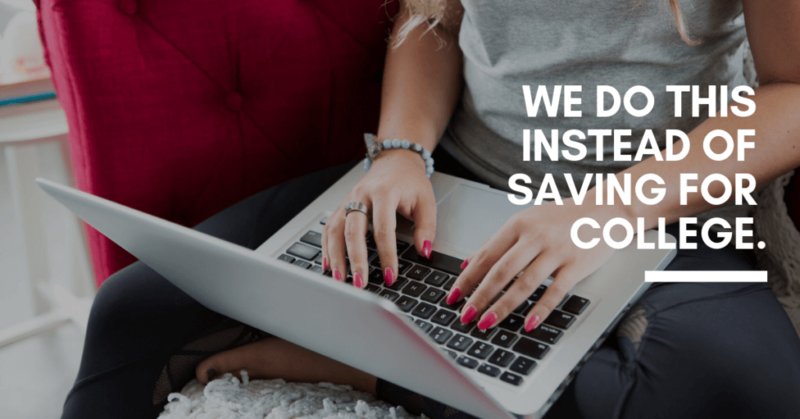 For us, we use an internet bank for our emergency fund (we really Capital One 360 and CIT bank – as of this writing, CIT Bank has the better APY). Regardless, you need to start saving – ideally at least 6 months of living expenses (your bare-bones expenses). Related Post: Is a Healthcare Sharing Ministry the Right Options for You? Also, I know as a self-employed person how hard it is to justify saving for the long-term, i.e. retirement. But it is something that you do need to strongly consider. We’re late to the retirement game and truth be told, if we hadn’t paid off our house, our Net Worth would be significantly lower than what it is. So after you prioritize saving up your emergency fund, I highly encourage you to consider saving for retirement. You can get started with a super easy account like Acorns which rounds up your “change” and invests it for you. Granted, you’re not going to become a millionaire with Acorns, but it is a start and is usually easier to get started with than trying to navigate the world of investing on your own. There are many different ways to organize your budget and there’s literally no right or wrong way to do it – just the way that works best for you. If you’re a computerized approach type of person, I really love Personal Capital which is a free to use online software program (they do have a more robust paid for version as well, but you can get started with the free version). I love that it shows you your overall Net Worth along with your budget. 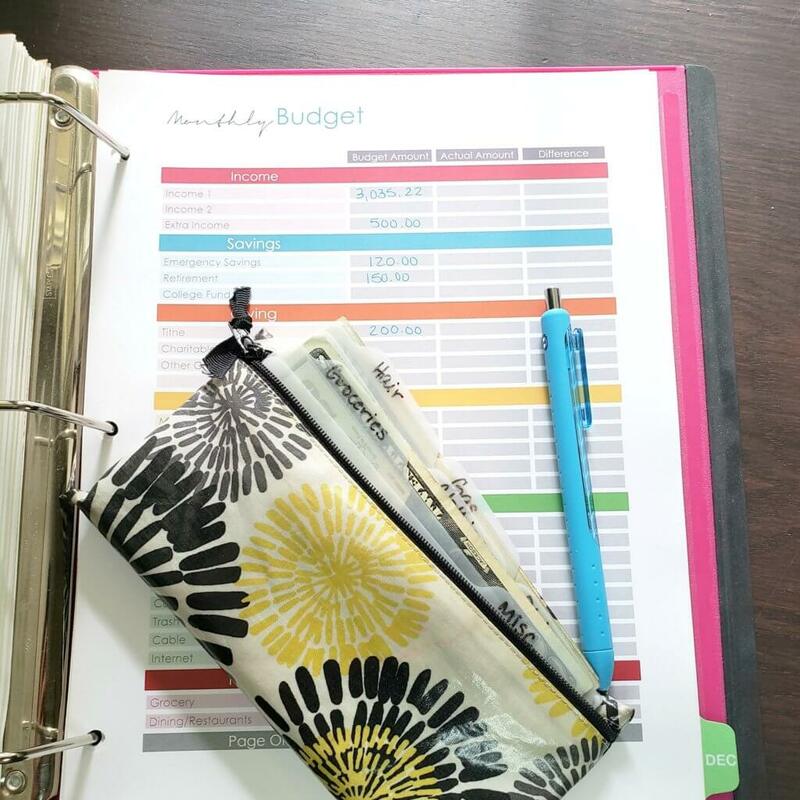 If you’re a pen-to-paper budgeter like myself, I use a Budget Binder to keep all of our money stuff organized. And if you’re a spreadsheet guru, I know many folks that love using programs like Tiller to help them streamline their budgeting! I hope this helps you if you’re living life with irregular income, but even if this doesn’t apply to you, if you know someone that it does, please feel free to share this with them as I know it can be so daunting to try to figure out budgeting with irregular income. 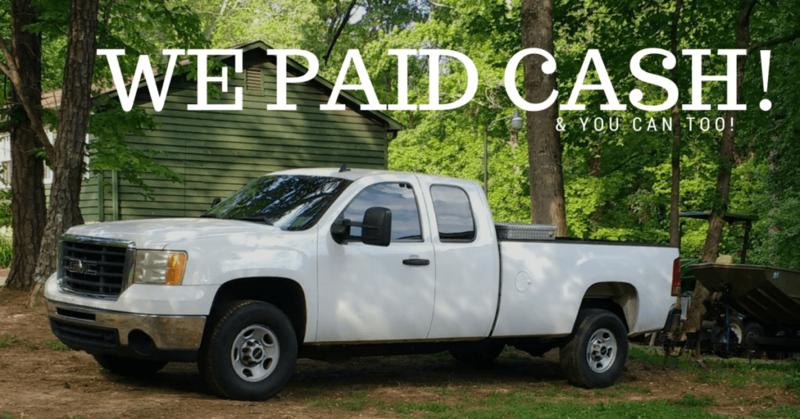 Do you have irregular income? 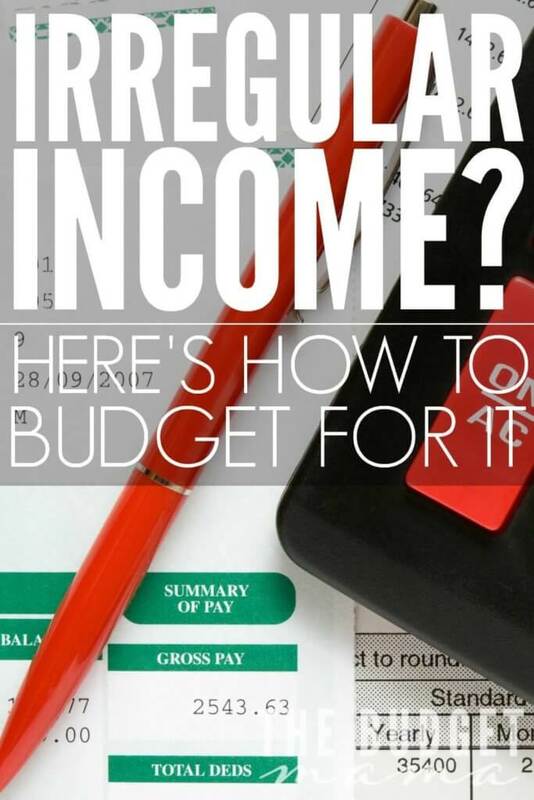 What advice can you offer someone trying to figure out how to budget for irregular income? Money controlling you? I know the feeling. My family has been living this real life on a budget for a long time and I can tell you that there's never a perfect season, but with a few changes you can start to reign in your money issues. Join the 5-Day Challenge today and start getting your money life in order this week! In real estate, my income has never been regular. I created a ‘buffer’ account that fluctuates monthly +-20,000. I withdraw my monthly living expenses from it once a month. So my income doesn’t change regardless of how much I actually take in compared to my expenditures. If my personal account varied so wildly, I’d never be able to sleep. But since it’s a business account, I don’t have to worry about it at all. This is really important to learn so you’re not overwhelmed by budgeting. 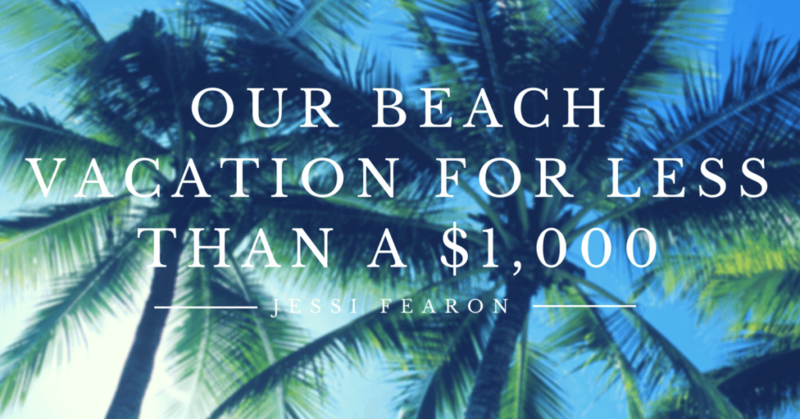 I find most of my readers with irregular income don’t know where to start. This is super helpful! My husband and I are both sub. teacher and we do not have a regular income. What we found works best for us is being one month in advance. So, we will only use in June the money that comes in this month. This way, starting the month, we always know how much money we have to work with. We have been doing that for a year now and that works really well for us.